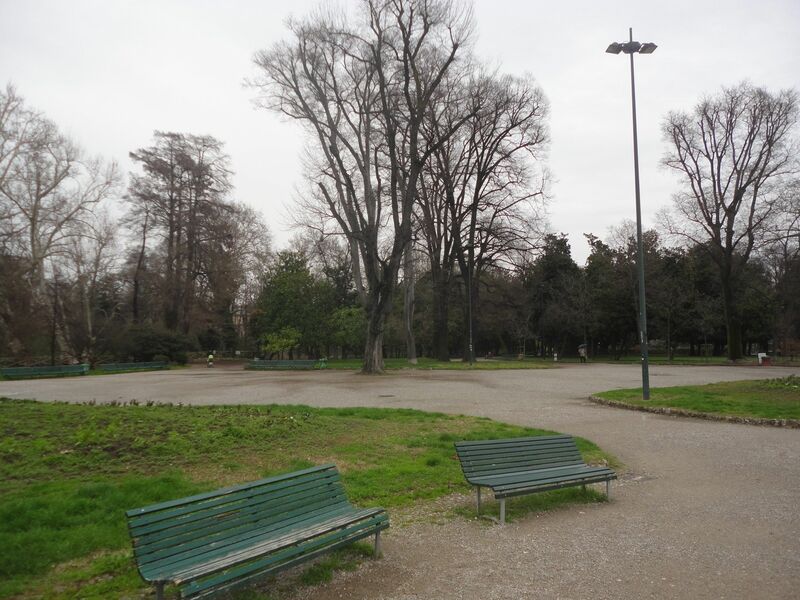 And so, although the weather was barely showing signs of spring, we decided to visit one of the public parks in Milan, the Giardini Pubblici Indro Montanelli. We had already seen the civic aquarium and the Museum of Natural History that are located in the same garden. This time, we were ready to enjoy the outdoors. The first signs of spring were delightful. Several dogs were having a field day in the areas dedicated to them. Junior made the mandatory halt at a beautiful fountain. We strolled along the various paths, appreciating the tranquility of the lovely surroundings. 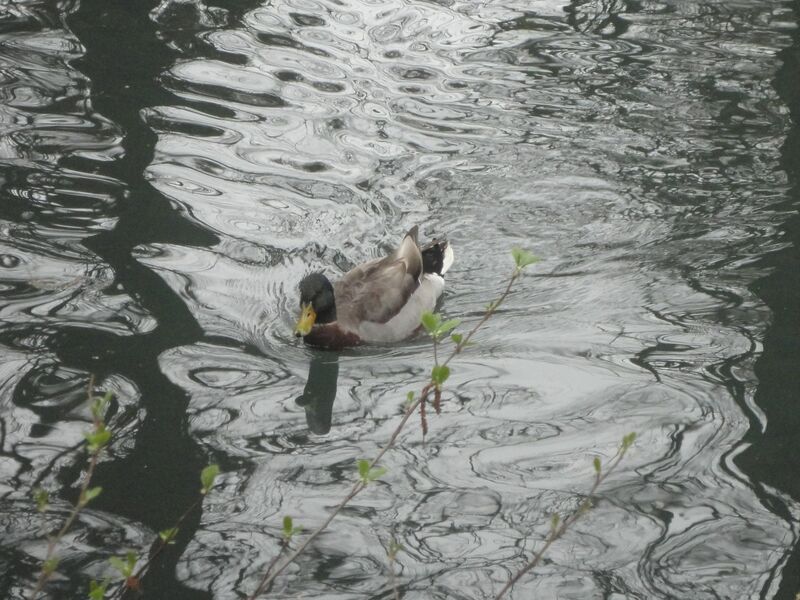 Mallard ducks watched the world go by from the little water bodies. At the other end (near the Natural History Museum), a kids’ play area drew Junior’s attention. He played to his heart’s content. 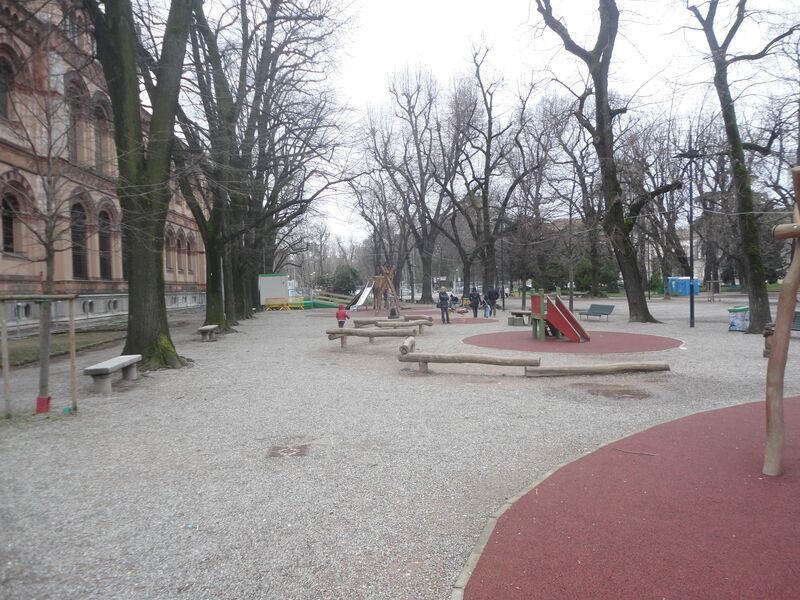 Kids’ Play Area, Giardini Pubblici, Milan. 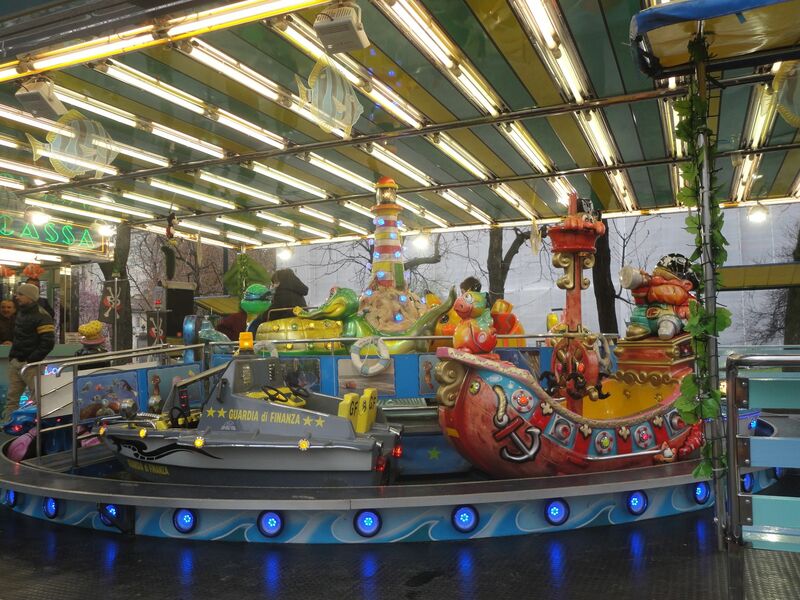 Gradually, the number of visitors increased, and kids ran from one ride to another. Our little boy was having so much fun that he was not ready to budge from the carousel – he even won a bonus ride! 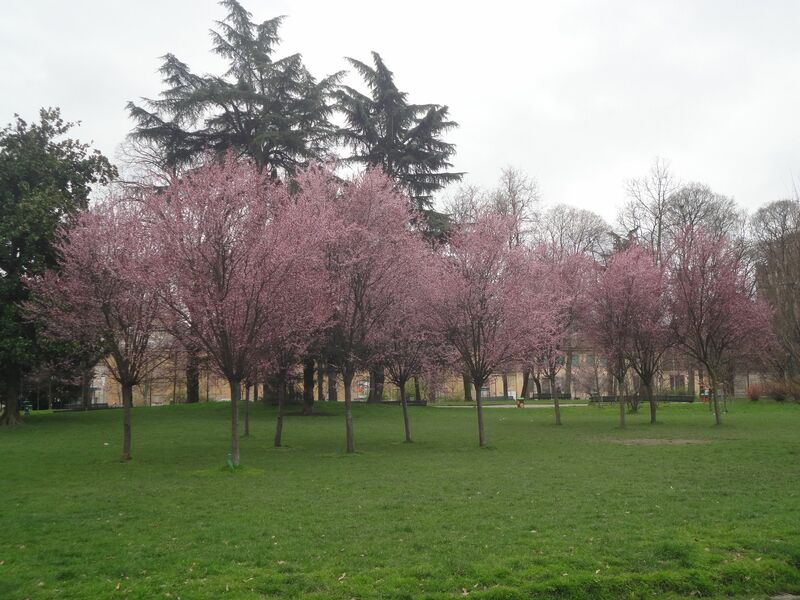 We had a wonderful Pasquetta at the Giardini Pubblici. With easy access from several metro stations, the Giardini Pubblici Indro Montanelli offers a refreshing break.